It’s National Chocolate Candy Day, in these United States. It’s amazing, the way people can find a way to form up battle lines around just about anything these days. At the moment, I’m really enjoying the farcical arguments playing out in NYC regarding bicycling. How, on earth, anything as simple and wholesome as riding a bike has became so politicized is symptomatic of everything wrong with us as a society. A) Bikes aren’t the answer to everything transit, and B) Bikes aren’t the reason that were all going to hell in a handbasket. This one, it ain’t that complicated. It vexes, you’ll have to understand. There’s a place which the politicians have been leading the vociferous and quite vocal “bicycle lobby” towards for several years now, by the way, and the working bicyclists are going to get there first. 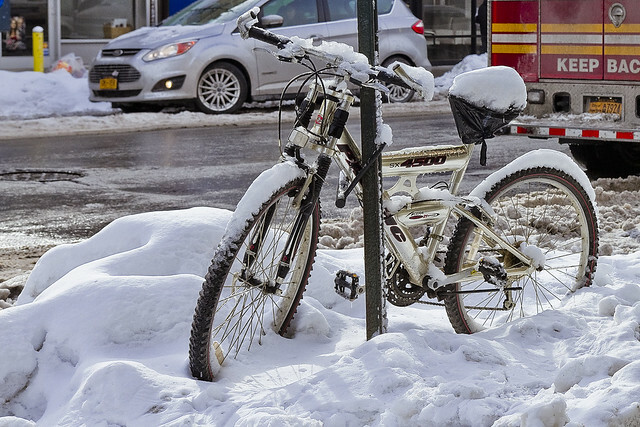 Inevitably – there will be a municipal requirement for every bike and bike rider to be able to produce an operators permit, insurance, and display tags (license plates) – just like every other vehicle in NYC – when they interact with the NYPD. The politicians will eventually be setting up a fee based regulatory environment around bike riders soon enough, and it’s just a matter of time before they start hitting bicyclists with the sort of parking tickets and fines they do motorists to pay for the regulatory system. 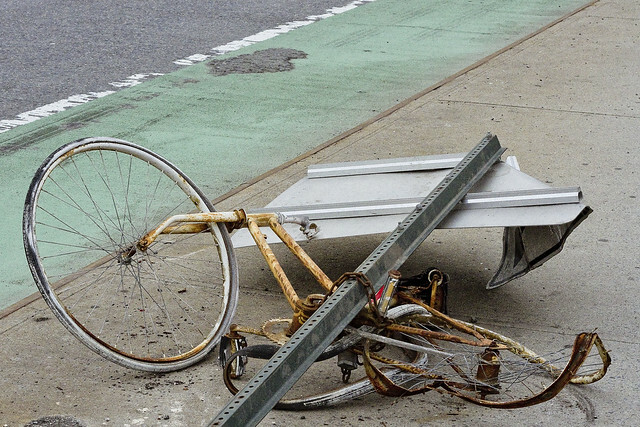 Ten years at the most, in my opinion, before you need a drivers license to ride a bike in NYC. The Mayor is currently having the NYPD blitz the delivery riders with tickets as you read this, and a scheduled period of confiscation for the electric bikes is coming in the New Year. It’s already begun. 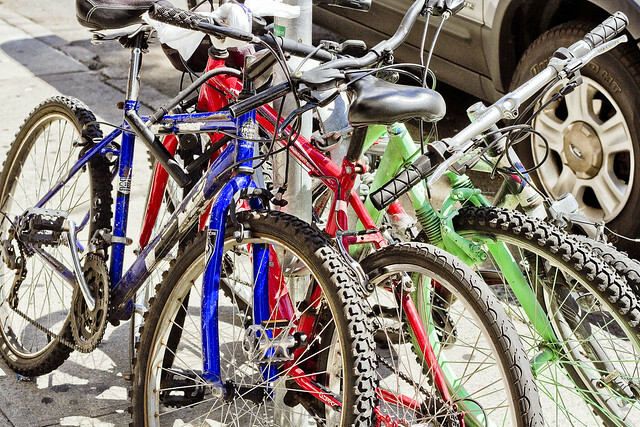 Secondly, bikes are a pretty good choice to get around in fair weather, if you’re young and healthy enough to use one. Part of the argument which biking proponents miss is that for some of our neighbors, the only way to get around is by automobile. Your walking or stair climbing abilities may be compromised by any number of random medical factors, after all, and it’s not appropriate for many of us to show up at work slaked with sweat after a summertime commute. You miss that sort of detail if you’re a member of the landed gentry who has decided to do a course of “public service” at City Hall, where the taxpayers maintain shower stalls for you to rinse off with before sitting down in front of your mahogany desk. Speaking of – I haven’t observed many of the City Hall people riding bikes to work, they use the train or drive City vehicles. Practice what you preach, I always say, and as to that time I saw a former DOT Commisioner ask a limo driver to pull her bike out of the trunk a few blocks away from a press event (she wanted to be seen riding a bike to it) still ticks me off. 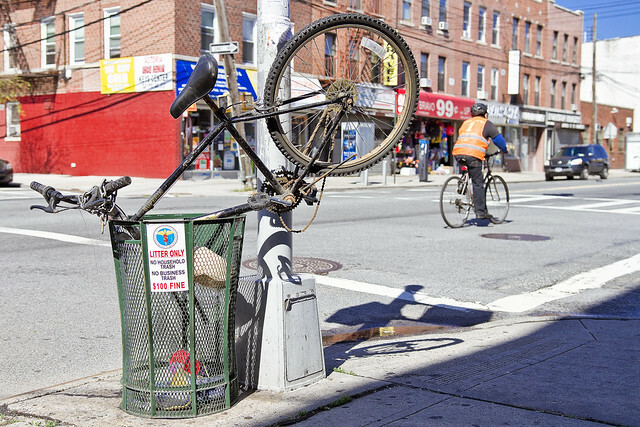 Third – the anti bike people would point out the sort of dumbass behavior on display in the shot above as being emblematic of all bicycle enthusiasts. 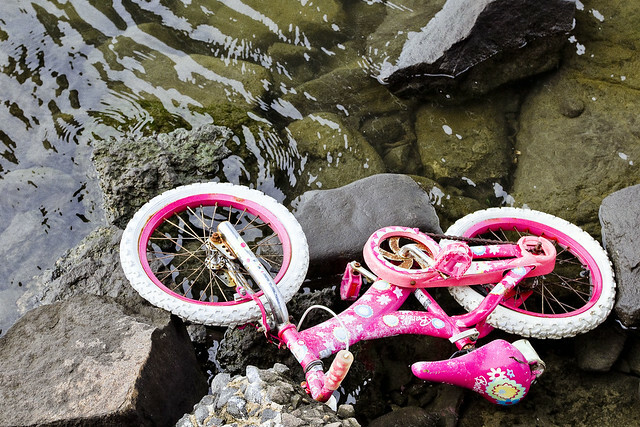 Bicycle proponents will describe stories of automobiles running roughshod throughout the City, purposely squishing and fracturing the populace. Both of these narratives have truth to them, but are overstated. Why do we always jump to absolutes, and proclaim the impending arrival of the apocalypse over every little issue? 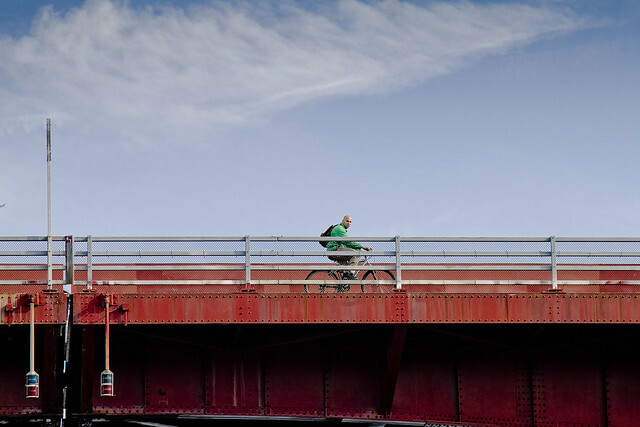 These days, I’m a dedicated pedestrian, but I used to ride my bike all over the City just like any other Brooklyn kid. I was the worst kind of biker, incidentally, riding at speed both on and off the sidewalks and blowing through lights. Saying that, one was always fully in control of the thing, and never found myself in “trouble” with other moving objects on the road. That’s because, just as I do when I’m walking around, attention is paid to my surroundings. This is what is known as confirmation bias, incidentally. Just because you’ve done something risky once – or a hundred times – and gotten away with it, doesn’t mean your luck will continue. 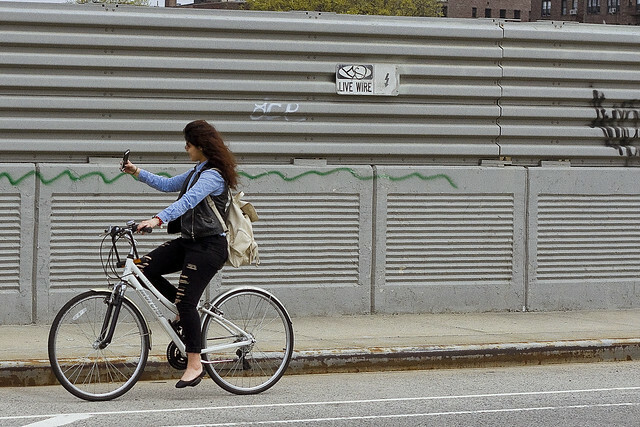 You don’t want to be shooting selfies while riding along a busy street in LIC, as a note. 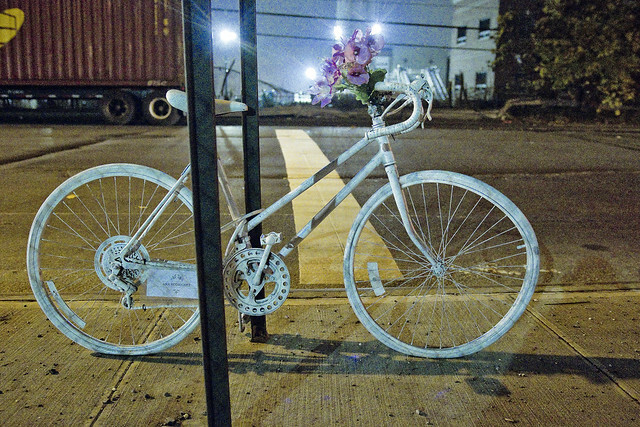 If you are indeed hell bent on selfie shots, I’d point out the hundreds of so called “ghost bikes” which the Bicycling advocates have installed along our city streets, which are meant to memorialize those who have lost their lives in collisions with motor vehicles and chide the populace. The one above is on Rust Street in Maspeth nearby the Newtown Creek industrial zone, which is notorious for heavy trucking and is a poor choice to ride a bike through. It’s one of the few places in the City that I literally beg people to use the sidewalk when riding their bikes. Thing is, a lot of these new bike lanes are actually accelerating the amount of interaction between human powered and motor vehicles – especially around the industrial areas. As a note, I’ve observed that a LOT of the lower pay scale laborers in these areas ride their bikes to work. Bosses drive, workers pedal, it would seem. In western Queens, the ghost bikes aren’t even safe on the sidewalk, nor is the signage admonishing vehicular operators to slow down or obey some of the rules of the road. This particular one sat alongside a “protected bike lane” sited on the LIE overpass at Greenpoint Avenue in Blissville. The turn lane for westbound traffic exiting the highway, as well as the turning lane for entering the east bound section, exists on this short block. It’s always a nightmare spot for traffic with 24/7 congestion, but despite this, the DOT decided to delete a traffic lane for bike usage. Bikes don’t actually use the lane, they wisely utilize the sidewalk instead, and there’s ghost bikes on both the north and south corners. An anecdote: A few years ago, when a party of NY State environmental officials were queried as to why there weren’t any “No Fishing” signs along Newtown Creek, they said “well, you can’t fish there without a license, that would be illegal.” I asked them how the war on drugs was going, and reminded them that literally everything is legal in NYC if there aren’t any cops hanging around. The Albany people were aghast. This sort of narrow bureaucratic thinking is precisely how we’ve found ourselves in the societal spot we’re in, arguing about everything in apocalyptic tone, because there aren’t gray areas anymore. I’d point to the very expensive solution DOT installed on the Pulaski Bridge as being what a protected bike lane should look like. Concrete barriers were set up to keep bikes, pedestrians, and trucks away from each other in distinct lanes. Thing is, just like every other half hearted process undertaken by officialdom, these “jersey barriers” end where the bridge ends in bothe LIC and Greenpoint, where turn lanes for vehicular traffic leaving the span cross right through the bike lanes and the helter skelter rules of NYC traffic begin. I guess this is the NYC way, however, lulling you into a false sense of security before dropping an air conditioner out of an eighth story window on you. I’m also a fan of the experiments in Manhattan, along Broadway in the 30’s and 20’s, where the parking lane has been relocated to about 15-20 feet from the curb and the parked cars serve the purpose of protecting the bike lane. This particular plan has not been popular with drivers, however, who have lost a lane of travel and gained even more congestion at what has always been a traffic choke point between Herald Square and the Flatiron district. Be like Old Joe, and share what ya got in the comments? What’s the way forward on this bike argument? Want to argue with other Newtown Pentacle readers? Click the comments link below and spout off.